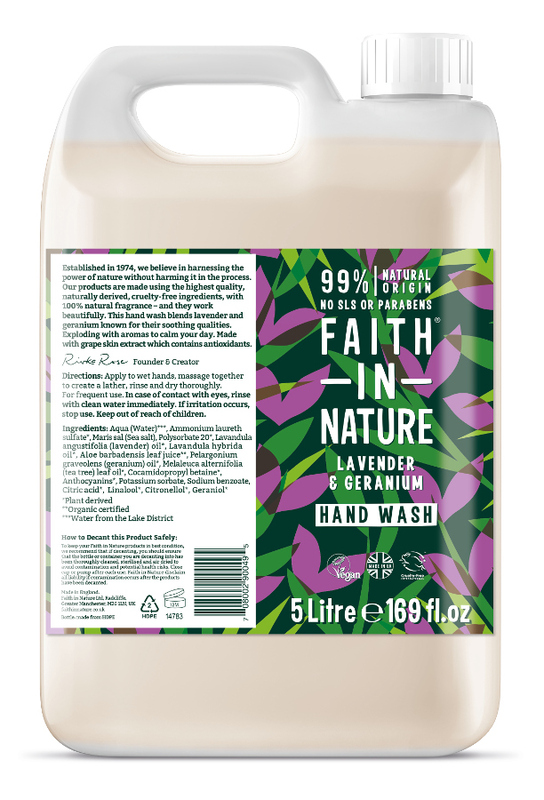 This delightfully scented 70% organic lavender and geranium hand wash, by Faith in Nature, is naturally moisturising, antibacterial, antiseptic and restorative. Lavender is soothing and helpful for hand care, whilst geranium is deodorizing, astringent and cleansing to your skin. The evocative and beneficial blend of these essential oils cleans hands without causing excess dryness. For extra deep cleansing apply to dry hands, rub in well and rinse off thoroughly. 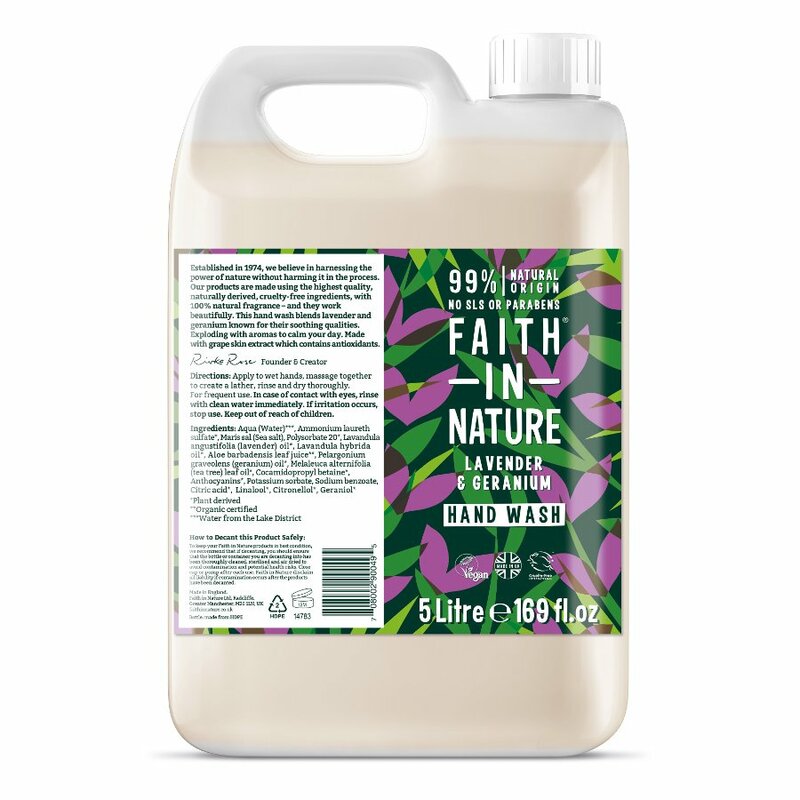 The Faith In Nature Lavender & Geranium Hand Wash - 5L product ethics are indicated below. To learn more about these product ethics and to see related products, follow the links below. Love the smell. Not harsh on your hands. We have great faith in this product and would not look any further for a handwash. My families favourite and regular hand wash. Have been using this for more than several years now. 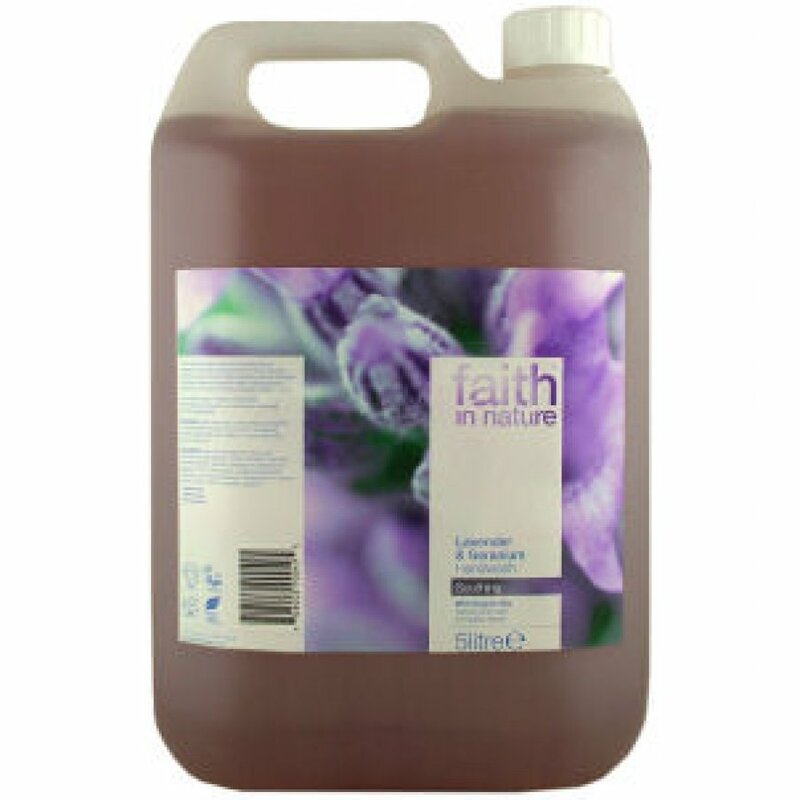 There are currently no questions to display about Faith In Nature Lavender & Geranium Hand Wash - 5L.